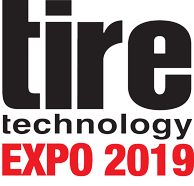 Between March 5 and 7, 2019, Teijin Aramid will exhibit at the Tire Technology Expo, at the Hannover Exhibition Center in Germany. Tire Technology Expo is the most important tradeshow and conference for tire construction and manufacture in Europe. About 290 suppliers for tire production will have the opportunity to present their technologies for materials and equipment across the whole tire manufacturing process. Additionally, the Tire Technology Expo provides a comprehensive conference and workshop program where experts present current trends of the tire manufacturing industry. Want to know how our high-performance aramid fiber Twaron® can add value to tires? Come and meet Teijin Aramid experts at our booth C522! Twaron® has become a proven basic material for the forward-moving tire industry and is used by leading manufacturers. The unique strength and heat-resistant properties of Twaron® enable a lighter, stronger, more sustainable tire. The result is a more durable, more fuel efficient, less polluting tire that can cope with the high speeds and/or weight requirements of innovative vehicle designers. For more information, visit us at Tire Technology Expo in Hannover at our booth C522 or contact marcel.dekloet@teijinaramid.com.